"Pumpkin and vanilla flavored creamers combine with instant coffee for a tasty latte mix that makes a great gift." 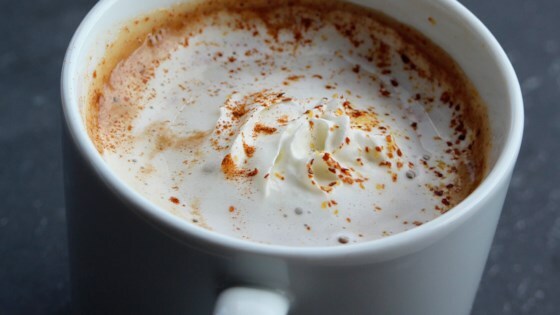 Stir together the vanilla creamer, pumpkin spice creamer, instant coffee granules, and sugar. Store the latte mix in an airtight container. For 1 serving, place 2 tablespoons latte mix in a coffee cup. Add 1 cup boiling water, and stir to dissolve.